To see fermented sausage in a dream refers to daily bread, heritage, commodity or income. To see of eating fermented sausage in a dream means that you will benefit from your close relative. If you eat fermented sausage with bread, it suggests that your chance will open, have abundance and relief. To dream that you cut fermented sausage signifies a guest coming from a distant place. To see of frying fermented sausage in your dream symbolizes happy news which you will hear in a short term. If fried fermented sausage smells, good news will be forever or last in the long run. To see egg with fermented sausage in your dream denotes that you will be property owner with the short way. 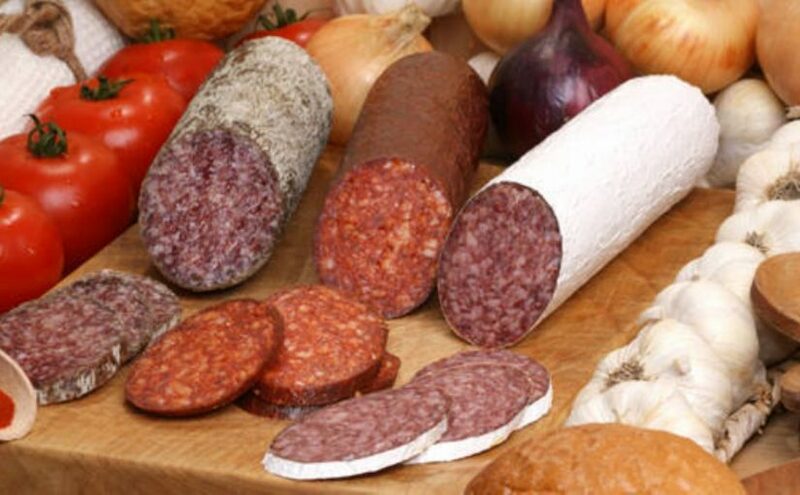 To sell fermented sausage in your dream signifies that you will sell your commodity or get rid of your financial troubles with rental income. To see of buying fermented sausage in your dream symbolizes that an issue which you have been followed for a long time will be positive. A commodity which you are waiting for or heritage will come as installments. To make or fill fermented sausage in your dream refers to holiday plan, holiday with family elders. To see meals made with fermented sausage or chop it inside the meal in your dream suggests that you will offer something to the crowd, do good things. To see fresh fermented sausage in your dream is sadness. If you see it dried, it refers to happiness.